It is a pretty simple process. 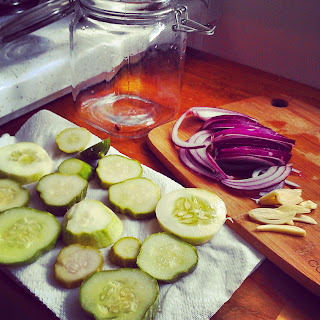 Simply pick your cucumbers and clean them up, getting those prickly parts off the outside. I am not fond of these. I use a glove and a sponge in a vinegar and water bath to clean them. Then, I slice them to the thickness of my liking. Lay them on a paper towel and sprinkle kosher salt on them. 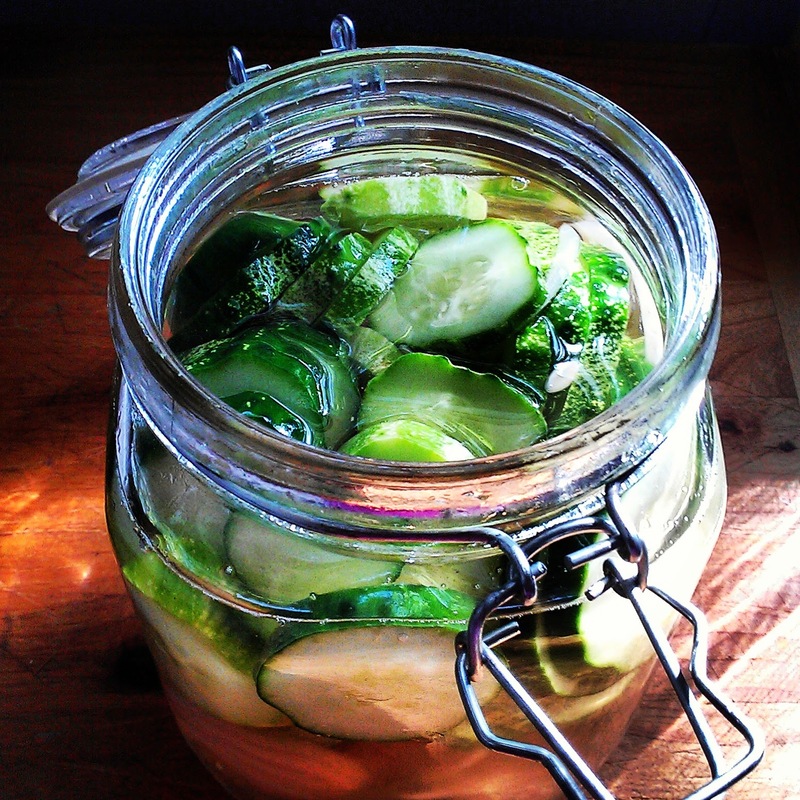 This helps the pickling process along. I thinly slice an onion. It really doesn't matter which kind. Then thinly slice several garlic cloves. I place these in the jar first, then the cucumbers. Next I cover them with half seasoned rice vinegar and half regular rice vinegar. This is a really quick version. There are other's out there that have seasoning and vinegar. However, I have only tried this way. I don't see why to go another route since I love these quite enough! Yum!